I was beyond excited to work with American Crafts and their new Glitter line. Glitter-tastic is what it is! I fell in love with their glitter in all forms. 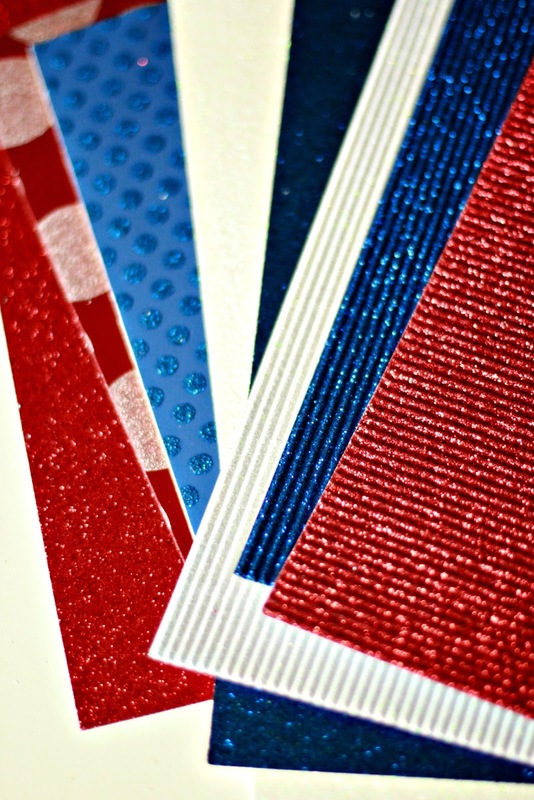 I knew when I saw the super fine glitter and the strong double sided adhesive that they should immediately be friends and that they needed to make something beautiful. 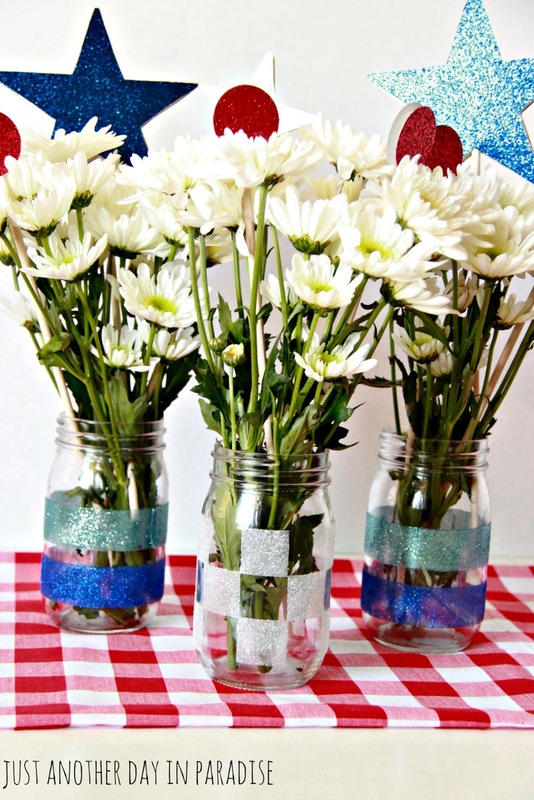 I also knew mason jars needed to be involved. Also since I got the patriotic glitter pack, I knew there needed to be some stars. I made these Glitter Mason Jar Vases and filled them with white daisies and glitter stars and dots to make a very patriotic centerpiece. 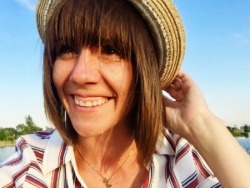 The gingham jar might be my very favorite. 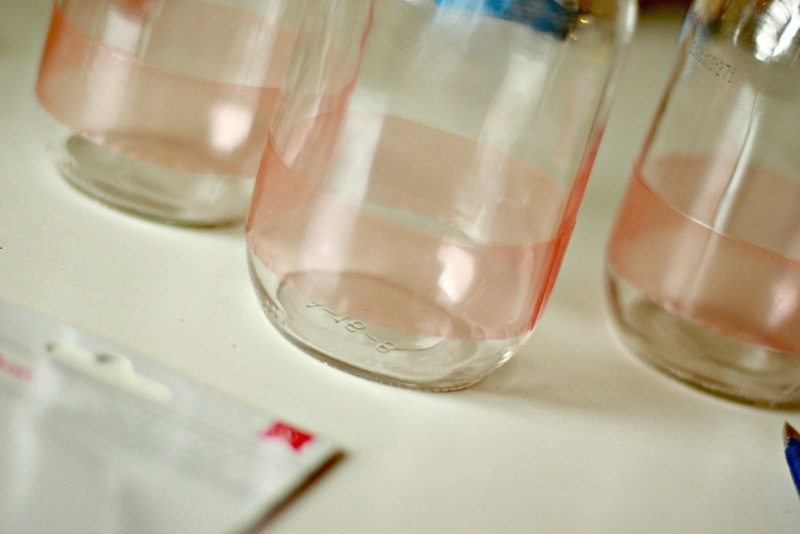 Not that I don't also love the ombre striped jars too. 'Cause I do. Now table it fully Red, White, and Blue ready with just the right amount of sparkle, and all thanks to this great paper and glitter line from American Crafts. 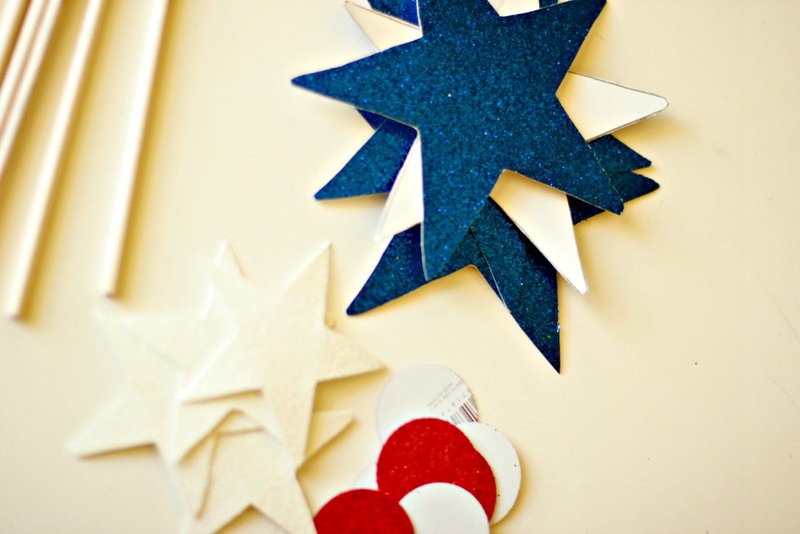 The Patriotic Glitter pack from American Crafts includes some insanely cute paper. Then there is all the glitter-tastic fun. 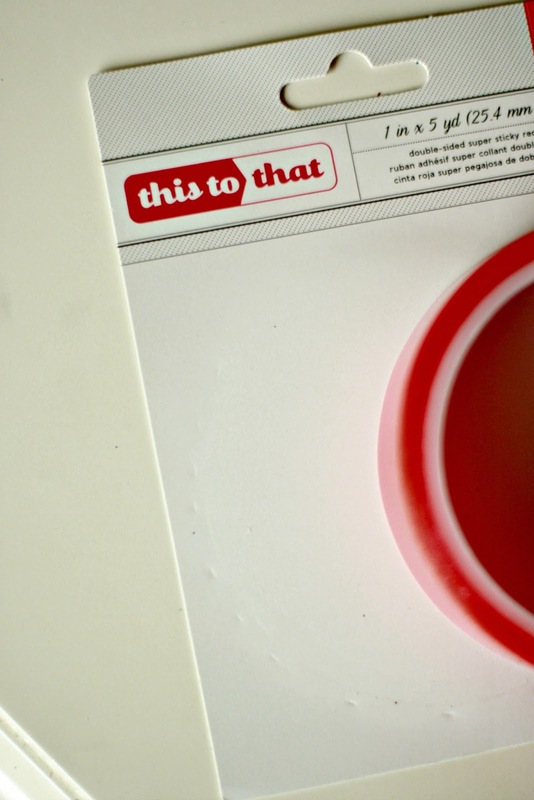 This double sided adhesive tape is FANTASTIC. Awesome I tell you. 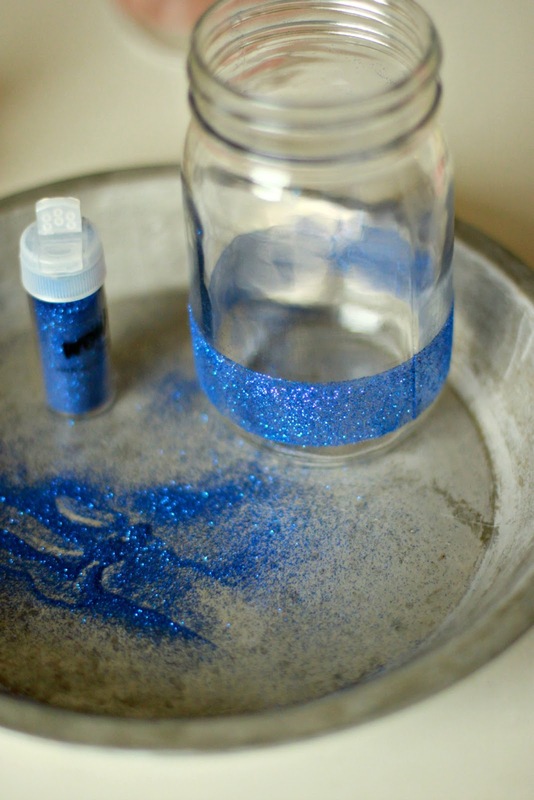 Along with the glitter, this was the key player in the making of my Glitter Mason Jar Vases. For the Ombre Jars, I wrapped the tape around the jars. Then they dusted them with glitter. I shook off the excess. I started with the darker shade and then did another stripe with the lighter blue. For the gingham jar I just cut 1" squares of the double adheasive. Then I laid them out in a checker pattern. Then I dusted every square with the white glitter. 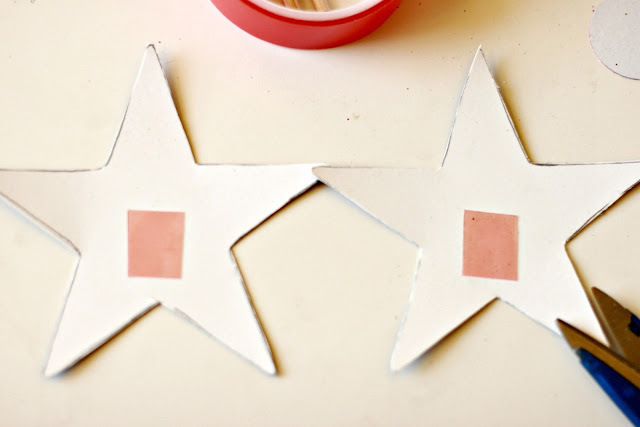 For the stars and dots to go into the flowers, I cut circles and stars out of the red, white, and blue glitter paper. 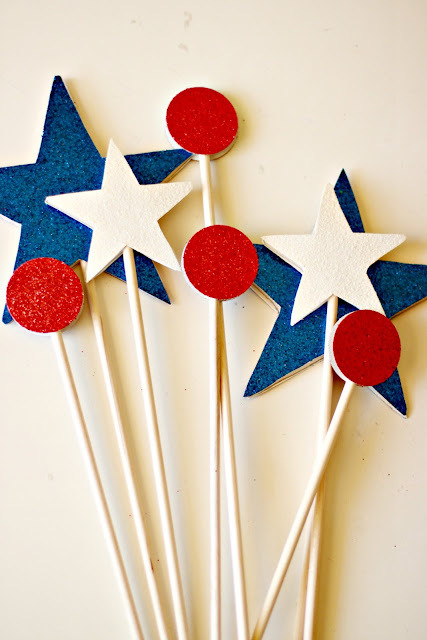 Then I attached the stars and dots to a long skinny dowel. 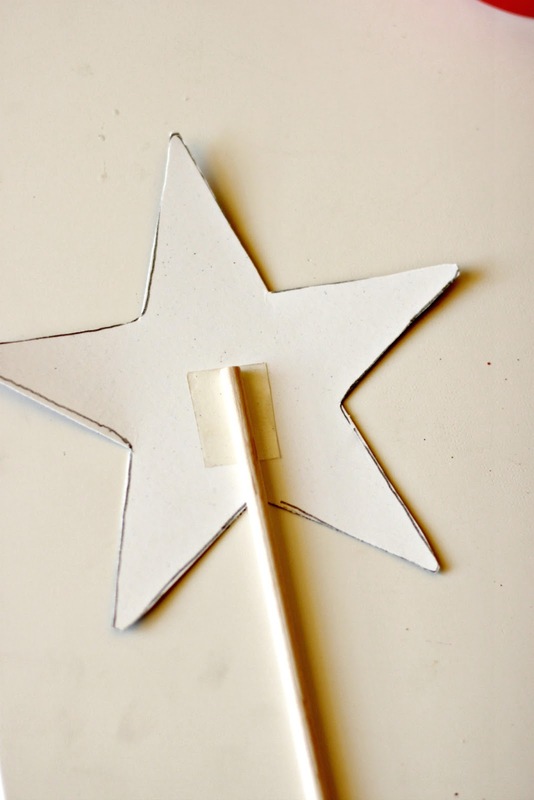 The dowel stuck to one star. 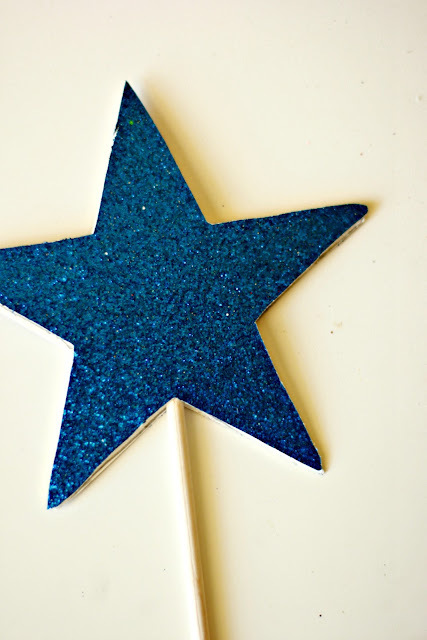 Then the other star got stuck to the top. Repeat until you have all the stars and dots a person could ever want. Stick them right into the flowers. 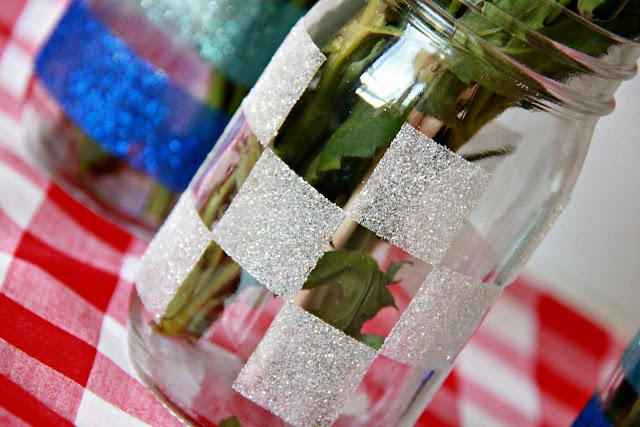 The perfect addition to the Glitter Mason Jars. 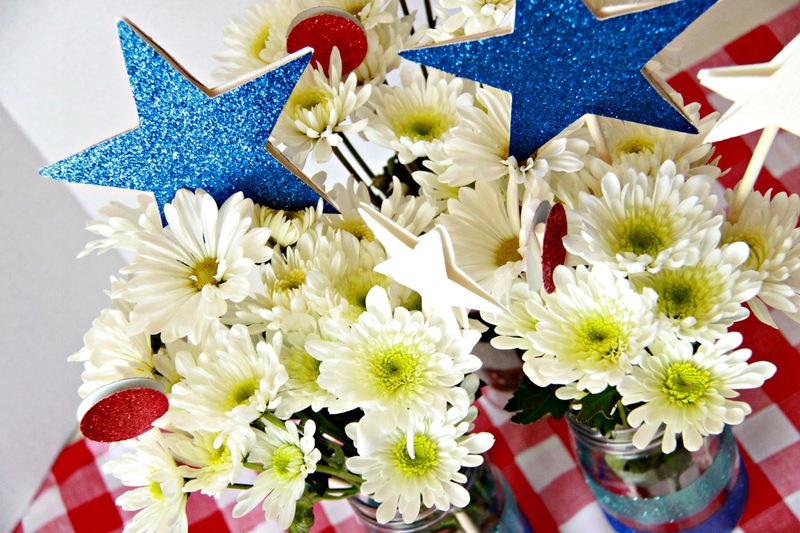 These would be super cute on the table of an outdoor 4th of July barbeque. Thank you American Crafts for these great products. 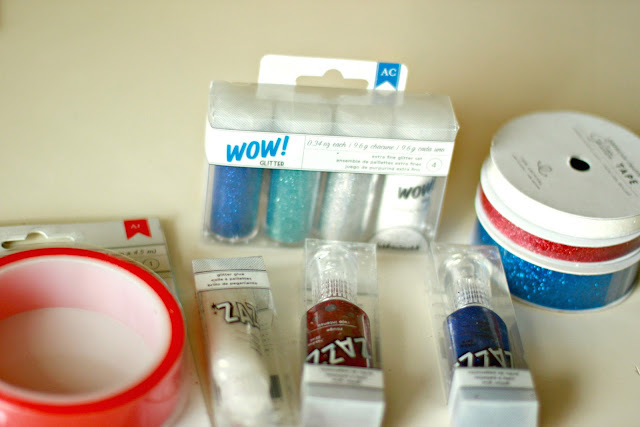 Keep an eye out for their glitter products in your local stores. They can also be found on Amazon. Thanks for stopping by. Have a glorious Tuesday! 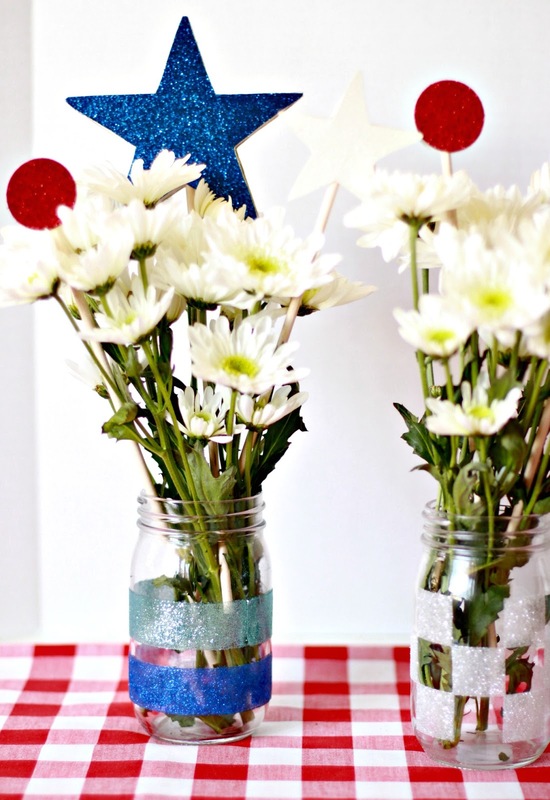 That seriously may be my favorite 4th of July decorations EVER!! 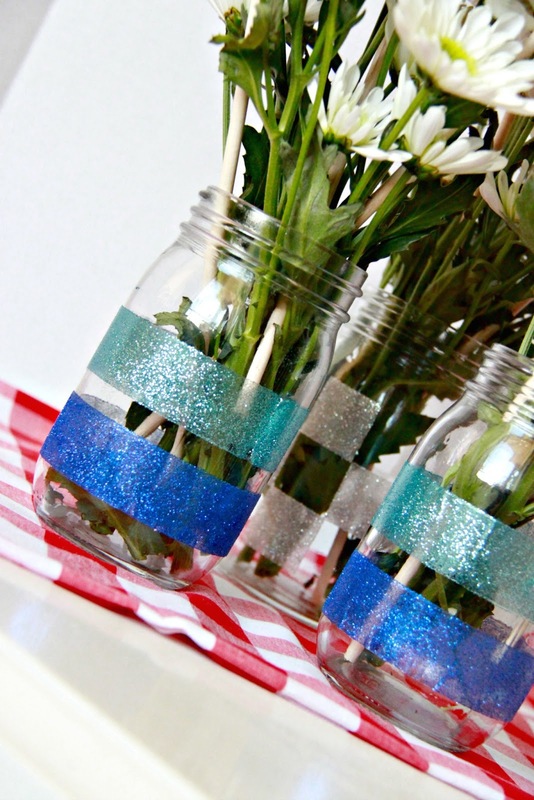 I love how you glittered jars to make ADORABLE vases! Great tutorial!